Should one use L1 subtitles when watching foreign language films with the purpose of improving one’s L2 oral comprehension? In the case of my experiment, should I use English subtitles when watching movies and other videos in Mandarin? Let’s consider three advantages and three disadvantages with regards to using L1 subtitles in general. Increased enjoyment because one understands the plot and dialogue better. Greater ease and likelihood of dedicating many hours and sticking with it (as a result of the first advantage). Greater ease in deciphering new vocabulary, especially at lower levels of comprehension. Decreased focus on the audio and on the listening itself. Lower effectiveness in getting the brain deeply immersed and accustomed to the phonemes, intonation, cadence, structures, and mode of expression. Risk of losing sight of learning objective. Need for greater effort and discipline to maintain viewing as a learning activity. In other words, it’s easy to watch just for fun and learn almost nothing. Pitfalls associated with translations generally: learning terms by sometimes incorrect and frequently misleading equivalences and risk of developing a mental translation habit. In sum, I would say that movies with L1 subtitles are easier to enjoy and keep watching, but more difficult and problematic to use for improving listening comprehension. At a very low level of comprehension, watching with L1 subtitles does give one the added practical and psychological advantage of deciphering new vocabulary more quickly. As a general rule, I would recommend watching movies without L1 subtitles as long as students can enjoy and stick with this type of study. If and when they cannot, I would recommend using subtitles, but with great care to focus a large portion of their attention on the spoken dialogue, even while referencing the text. So how does this apply to my Mandarin language acquisition experiment? In terms of isolating variables more carefully, and thus making the experiment more scientifically rigorous, it would be ideal never to use subtitles. However, one of the underlying conditions of my project is that my viewing needs to be relaxed and enjoyable. Since I knew absolutely no Mandarin when I began the project, and no languages that are remotely related to it, I was and continue to be an extreme example of a student with very low comprehension. Therefore, purely for the sake of enjoyment and motivation, I have often used subtitles. 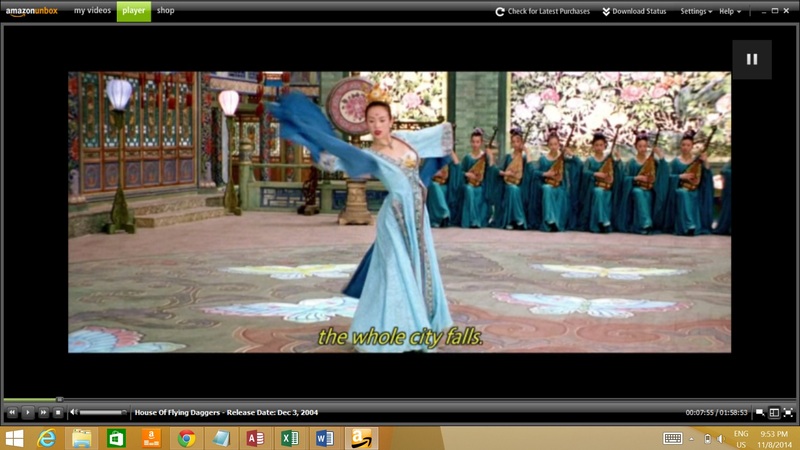 Without them, watching Chinese films can be tedious, whereas with subtitles, I have found them very enjoyable. If I never used subtitles, I would probably feel the need to watch a lot more shows for toddlers and to repeat movie scenes more often. Needless to say, I might get bored. However, as I’ve explained, in terms of effectiveness of acquisition, I believe the drawbacks outweigh the benefits. Your native language or, analogously, another language you already know well and use when learning a second language. The language you are endeavoring to acquire. In this post I will not assess the use of L2 subtitles, which has its own set of peculiarities, advantages, and disadvantages. I will also not assess the use of technology-intensive methods such as subs2srs. Thanks for your question. I don’t really have any insight and hope somebody more knowledgeable might be able to help. I’m surprised there wasn’t this differentiation. As I understand it, although Mandarin and Cantonese share some vocabulary, they are not mutually intelligible. However, the characters are pretty much the same, so the languages when written are mutually intelligible.